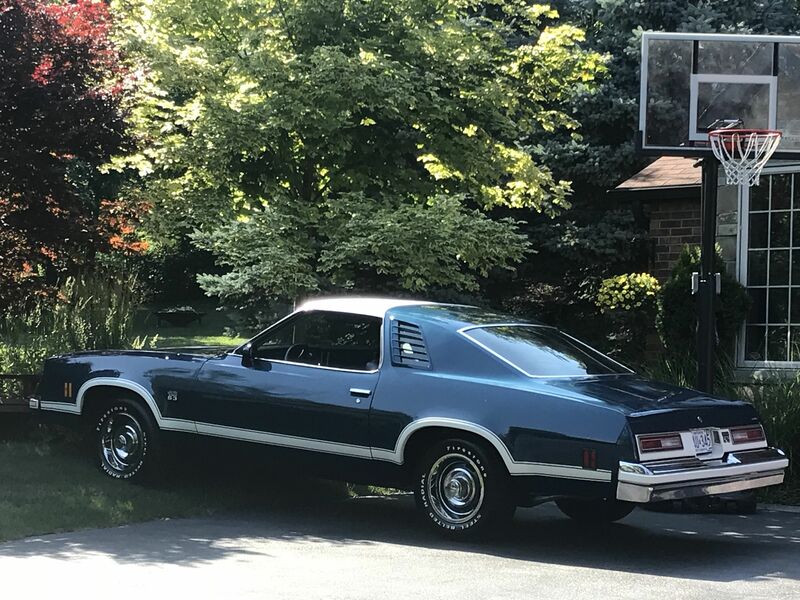 The '76 Laguna S-3 FOR SALE on Hemmings- white car with gold stripes and tan cloth interior 400 small block 125,000 miles -swivel bucket seats for 68.00. Looks like well worth the money asking.. probable will accept less-check it out. That's a nice specimen, looks well taken care of. As i was looking at the pictures I noticed that next to the ash tray there is what looks like a mirror adjuster. I've never seen that before, is it a remote passenger mirror? Yep...RH remote mirror. Fairly rare option. Mcarlo77 wrote: Yep...RH remote mirror. Fairly rare option. This is the first time I've ever seen one. The car has held up surprisingly well from the AZ sun/heat; especially, the interior. You can't believe what the sun can do down there on cars this age. On my Laguna that was brought up from the Phoenix area, the foam on top of the back seat was scorched UNDER the fabric...and, all the plastic inside was brittle to the point of crumbling when you touched it. I didn't notice the rub strip on the back half of the qtr panels. Don't think I've ever seen that before. Mcarlo77 wrote: I didn't notice the rub strip on the back half of the qtr panels. Don't think I've ever seen that before. I've never seen that either. Maybe a dealer option?